These products are available year-round. The preparation processes are conducted in-house, which allows for adjustments to meet each buyer’s wishes. The preparation of the vegetable products is fully certified according to the BRC Higher Level and HACCP. The processing lines are maintained and cleaned with environmentally friendly products. Lamb’s lettuce is a vegetable that is largely grown by us in Dutch greenhouses. The buyer of this vegetable product is thus guaranteed delivery. Versland Selection has all the knowledge about lamb’s lettuce from seed to final product. We also have a new, modern washing system to wash this vegetable. And the latest dry line ensures that the lamb’s lettuce is dry when it leaves the conveyor belt. 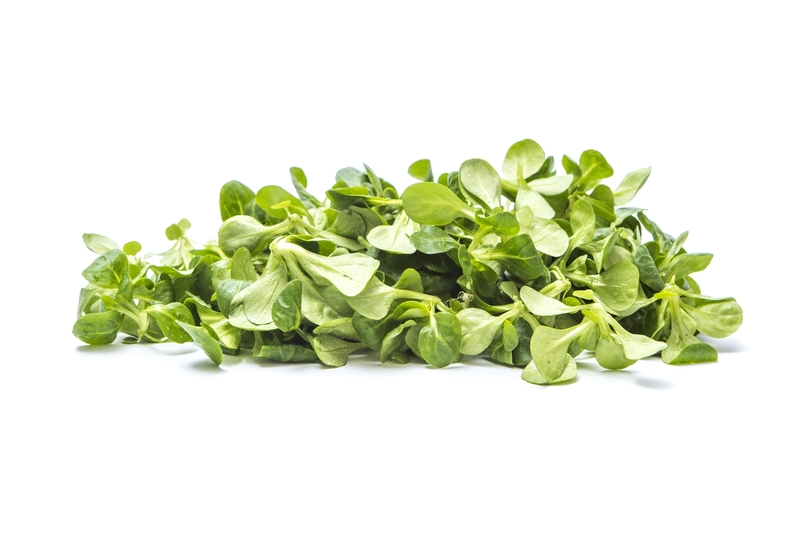 Rucola is a vegetable that is grown both in greenhouses and outdoors. By supporting the Dutch production with an Italian cultivation programme in the winter period, a year-round supply of rucola is guaranteed. 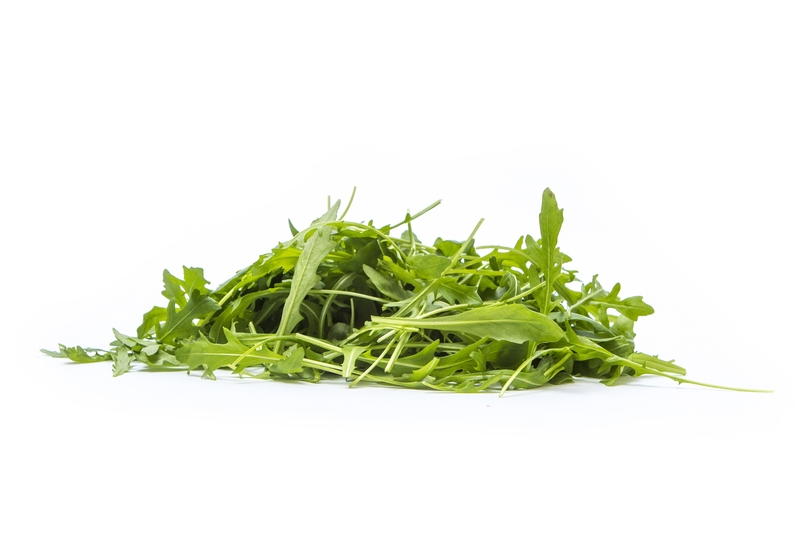 The buyer of rucola can choose between tumbled and/or washed product. Before washing, it is possible to remove the branches and old leaves in a tumbling drum, so the rucola is practically free of foreign materials. 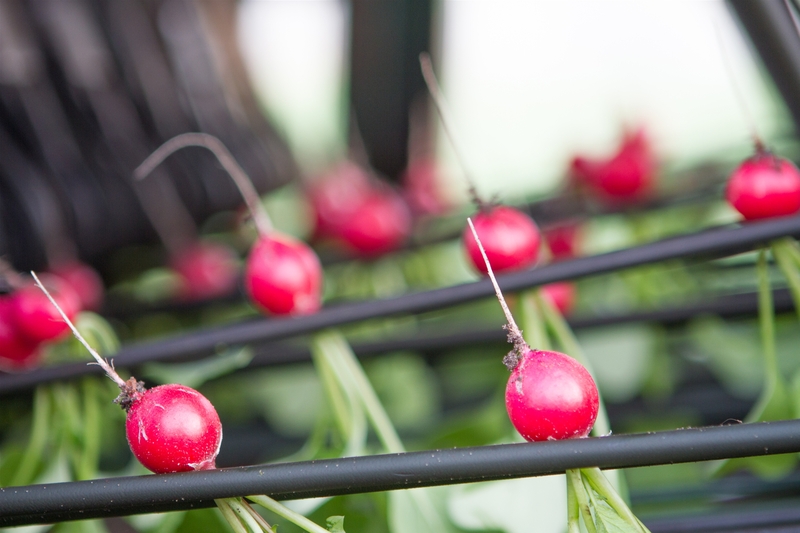 Versland Selection supplies bunches of radishes with the help of a group of Dutch growers. The bunches are washed in a sustainable manner. Three-quarters of the washing water is recycled water from the wash line for lamb’s lettuce. The last rinse is done with tap water. The rinse line is suitable for processing any size of package preferred. 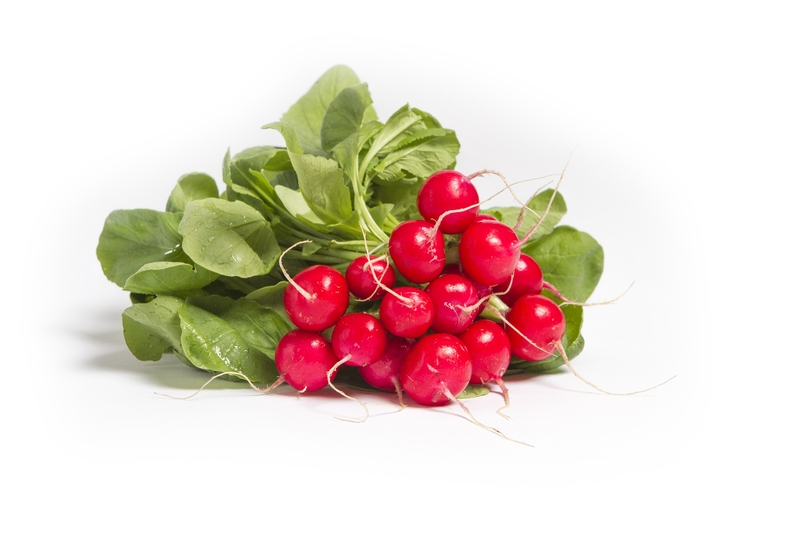 Since 1 January 2015 Versland Selection has had a so-called kilogram production of radishes. A programme was set up for the year-round delivery of loose radishes with Dutch radishes being supplemented by imports in the winter season. These radish growers are Global GAP-certified. The programme is supported by two quality inspectors. Depending on the quantity required, any size package from cone to bale can be accommodated. This product is certified by BRC Higher Level and HACCP.